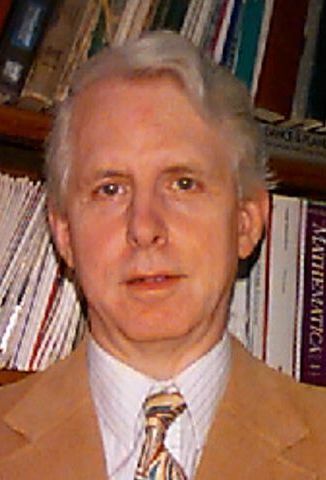 Thomas Charles "Tom" Van Flandern received his Ph.D. degree in Astronomy, specializing in celestial mechanics (the theory of orbits), from Yale University in 1969. He spent 21 years (1963-1983) at the U.S. Naval Observatory in Washington, D.C., where he became the Chief of the Celestial Mechanics Branch of the Nautical Almanac Office. During the past decade, Tom was a Research Associate at the Univ. of Maryland Physics Department in College Park, MD, and a consultant to the Army Research Laboratory in Adelphi, MD, working on improving the accuracy of the Global Positioning System (GPS). He and his wife moved to Sequim in 2005 to be nearer children and grandchildren and enjoy the beauty of the Pacific NW. Tom edited the Meta Research Bulletin, specializing in reporting anomalies and evidence that do not fit standard theories in astronomy. He also authored the book "Dark Matter, Missing Planets and New Comets" about his original astronomy research, and organized astronomical expeditions to solar eclipses, meteor storms and other celestial events. During his career as a professional research astronomer, Tom was honored by a prize from the Gravity Research Foundation; served on the Council of American Astronomical Society's Division on Dynamical Astronomy; taught astronomy at the University of South Florida and to Navy Department employees acted as consultant to NASA's Jet Propulsion Lab; and did several spots for the "Project Universe" series for public TV. Mon. Nat. R. Astron. Soc., V170, pp. 333-342 (1975). "The Speed of Gravity ? What the Experiments Say" OR "Propagation of Gravity has been Experimentally Shown to Exceed the Speed of Light," Physics Letters A, V250, N1-3, pp. 1-11 (1998).